Find the answers to your storage problems with Tellus Self Storage - Northwood. Our facility at 11520 U.S. 49 is only 6 miles from downtown Gulfport. Find us 1.5 miles north of Interstate 10 on Highway 49. We’re close to Whataburger, Mizu and Burger King. Why don’t you come and take a look around? Your storage solution awaits! Tellus Self Storage - Northwood has everything you need. 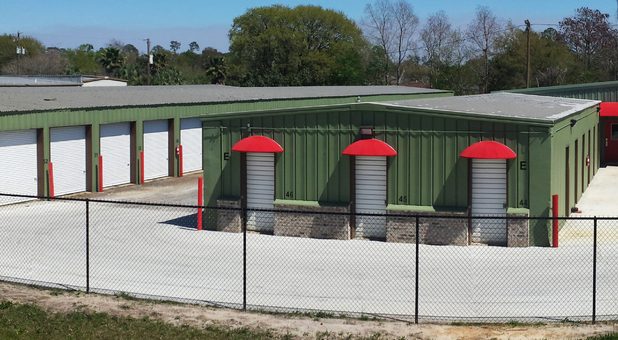 At our fenced and gated facility, you’ll find a wide range of storage units, including climate controlled options, to solve your storage problems. Our handy drive-up access makes unloading your belongings quick and painless. Instead of carrying heavy boxes all the way from the parking lot, you can drive up to your unit and park right outside. You’ll be moved in before you know it! Whereas many other facilities close overnight, Tellus Self Storage - Northwood is accessible 24/7. Even though we’re always open, you’ll never have to worry about security. At our facility, you’ll find state of the art surveillance cameras which constantly record and monitor. Finally, keeping up to date with your rent is easy with our online bill payment system. All you need is internet access and a credit card. Get in touch with our team to reserve your own unit today!